Toronto and New York, May 5, 2011 – Mountain Province Diamonds Inc. (“Mountain Province”, the “Company”) (TSX: MPV, NY-AMEX: MDM) today announced the results of an updated independent valuation of the diamonds recovered from the Gahcho Kué Project. The valuation was conducted by WWW International Diamond Consultants Ltd. and took place at the London offices of the Diamond Trading Company in early April, 2011. All diamond values presented below are based on the WWW Price Book as at April 11, 2011. Patrick Evans, Mountain Province President and CEO, said: “The results of this independent diamond valuation reflect the strong performance of rough diamond prices since the previous valuation conducted on April 2010. Based on the analysis of leading diamond producers and analysts, the global diamond industry will experience peak diamond supply during 2011, with burgeoning demand – particularly from the robust Chinese and Indian markets – outstripping mine supply. There is a strong probability that rough diamond prices will continue to experience strong double digit increases as production from aging mines decrease and new mine supply falls short of growing demand. As the world’s largest and richest diamond development project, Gahcho Kué is well placed to enjoy excellent diamond price support as it prepares for production”. In their report to Mountain Province, WWW stated: “The most valuable stone is in the Tuzo sample. This 25.13 carat stone is the largest stone in all of the bulk samples. The stone is an octahedron of H/I colour which WWW valued at $20,000 per carat giving a total value of $502,600”. WWW added: “The stone with the highest value per carat sample is a 9.90 carat stone in the 5034 C/E sample. This is a makeable stone of high colour (D/E) which WWW valued at $24,000 per carat giving a total value of $237,600”. Table 2 below presents models of the average price per carat (US$/carat) for each kimberlite. The modeled price per carat is determined using statistical methods to estimate the average value of diamonds that will be recovered from potential future production from Gahcho Kué. For mine feasibility studies WWW recommends using the base case models for defining the resources and reserves. The “high” and “low” models are included for sensitivity analysis. The WWW averaged modeled price per carat for the Gahcho Kué kimberlites is $122, which represents a 41 percent increase over the WWW 2010 average price. The WWW models use size distribution models (carats per size class) developed by De Beers. Mr. Evans added: “The 2010 independent definitive feasibility study, under which the revenue assumption was based on the mean average of the April 2010 WWW and De Beers modeled diamond prices, reported a 33.9 percent IRR excluding sunk costs. Further, sensitivity analysis shows that a 10 percent increase in modeled diamond prices results in an approximate 3 percent increase in the project IRR. Accordingly, the 41 percent increase in the modeled price over the past year would result in an approximate 12 percent increase in the project IRR. Located in Canada’s Northwest Territories, Gahcho Kué is the largest new diamond project under development globally. The project consists of a cluster of kimberlites, three of which have a probable reserve of 31.2 million tonnes grading at 1.57 carats per tonne containing 49 million carats. The Gahcho Kué project is a joint venture between Mountain Province Diamonds and De Beers Canada Inc. An independent 43-101 feasibility study was completed in late 2010. The project environmental impact assessment was also completed and filed in late 2010. The project is currently undergoing permitting. This news release may contain forward-looking statements, within the meaning of the “safe-harbor” provision of the Private Securities Litigation Reform Act of 1995, regarding the Company’s business or financial condition. Actual results could differ materially from those described in this news release as a result of numerous factors, some of which are outside the control of the Company. Edmonton-based Shear Diamonds Ltd. has signed a mutual cooperation agreement with Nunavut Resources Corp. for development of the Jericho Diamond Mine in Nunavut, northern Canada. Shear Diamonds, formerly Shear Minerals, acquired Jericho — Nunavut’s first and only diamond mine — in July of last year. The company paid $2 million plus an aggregate of 80 million shares and a 2% royalty to Caz Petroleum, the secured creditor of Tahera Diamond, the mine’s former operator. Jericho is located 420 km northeast of the City of Yellowknife and is accessible by air all year and by winter road from Yellowknife. The project was mined from 2006 to 2008, and produced 780,000 carats of diamonds from 1.2 million tonnes of kimberlite mined from the open pit operation, before going bankrupt in 2008. 25% Lower than Retail Price! Over $200 million was invested in the development of the Jericho operations including the construction of a 2,000 tonne per day diamond recovery plant, maintenance facility, fuel farm, and offices and accommodation for 225 personnel. The agreement signed on Monday by Shear president Pamela Strand and NRC chairman Charlie Evalik sets out provisions for mutual cooperation in the examination of infrastructure and other development opportunities associated with the potential re-development of the Jericho Diamond Mine, according to a news release. It is the first agreement of its kind to be signed by the NRC, an Inuit-owned corporation dedicated to maximize mutual benefits at the Jericho Mine. Finding diamonds in Canada was, for many years, little more than a prospector’s hope. But with the discovery of diamonds in Nunavut in the early nineties, this hope became a reality that soon led to active exploration for the elusive gem throughout the country – specifically, on the Canadian Shield. Canada became a diamond producer in October 1998, when the Ekati diamond mine opened about 300 kilometres northeast of Yellowknife. By April 1999, the mine had produced one million carats. 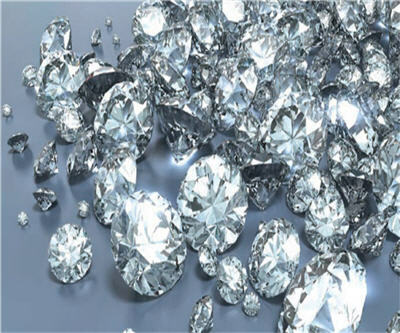 And by 2003, the country became the world’s third largest diamond producer on a value basis, after Botswana and Russia. Today, diamond exploration and discovery is undergoing a renaissance in Canada’s north that rivals the first wave of successful exploration. Most of the efforts are converging in Nunavut, the largest and newest territory of Canada. Although the Canadian northern territories are not the easiest places in which to live and work, there are a number of junior and senior companies operating in these areas. These companies have to deal with harsh climates, limited infrastructure and a very fragile environment. But as demand for minerals, particularly diamonds, continues to grow, both new and established operators are taking a more active interest in the region. Peregrine Diamonds Ltd. is one of the protagonists of the new success story. The company revitalized the diamond exploration scene last year, by reporting a remarkable discovery of three major outcropping diamond-bearing kimberlites at its Chidliak property on Baffin Island. Chidliak, located 150 km northwest of Iqaluit, the capital of Nunavut and the company’s earlier stage Nanuq project, located 300 kilometres north of Rankin Inlet in Nunavut, are both textbook cases of grassroots or greenfields exploration low-budget programs that were taking place while attention was focused primarily on DO-27. The Chidliak program began in 2005, when BHP Billiton approached Peregrine with an offer to jointly explore southern Baffin Island. “The agreement was that, together, we would undertake a reconnaissance program that covered roughly the southern third of Baffin Island. We would fund it equally and then Peregrine would take the data and run with it,” says Peregrine President, Brooke Clements. After the programs’ first year, during which the most promising properties were acquired, the funding responsibility fell to Peregrine alone, but BHP retained back-in rights. Despite being discovered a year earlier than Chidliak, Nanuq is currently at about the same stage, for two reasons. Three kimberlite pipes have been found on each site, but those at Nanuq, while encouraging, do not offer the promising diamond counts seen in kimberlites tested at Chidliak. Future exploration work at Nanuq will be focusing on finding new pipes. Meanwhile, the work at Chidliak will be split between searching out new pipes and continuing to estimate the value of the one already known to hold diamonds. A bit of luck also favoured Chidliak. “Usually, kimberlites are covered by soil and aren’t visible from the surface,” explains Clements. “But in the case of Chidliak, the sampling crew went to three promising sites and found not just indications of kimberlites, but outcroppings of the pipes themselves exposed on the surface. We were fortunate because we kind of jumped a year ahead of the normal sequence. Without drilling a single hole, we know we have diamonds and kimberlites with significant tonnage potential on the property,” he said of the significance of the outcroppings. Clements describes the results as “exceptional,” and not just because the coarse diamond size distribution indicates potential for large commercialization of diamonds. Unlike most diamond-bearing kimberlites in northern Canada, which typically occur under lakes or are buried by overburden, the Chidliak kimberlites outcrop on the surface..
“It’s still early days but we’re very excited by the potential as we’ve identified more than 65 geophysical anomalies within the property,” says Clements. Until recently, Tahera Diamond Corporation was the best known name in Nunavut’s diamond scene. The company runs Jericho Diamond Mine, Canada’s third diamond mine and Nunavut’s first, located about 400 km (249 mi) northeast of Yellowknife, Northwest Territories. Two and a half years after that high-profile startup, Tahera has abruptly ended production at the Jericho mine, forcing Prime Minister Stephen Harper and his government to take over. 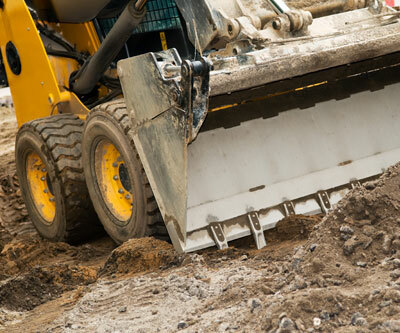 Deloitte and Touche has since been appointed as receiver and contracted to undertake care and maintenance at the mine. It is doubtful that a new owner will soon be found for Jericho. Other companies currently exploring for diamonds in Nunavut are Indicator Minerals (Nanuq North, in a join venture with Peregrine Diamonds), Shear Minerals (Churchill), Diamonds North Resources (Amaruk) and Stornoway Diamonds (Aviat). Stornoway, a Vancouver-based exploration company, is the dominant diamond explorer in eastern Nunavut and it has property stretching from the northern tip of the Melville Peninsula to Rankin Inlet on the western shore of Hudson Bay. Stornoway shares interest in the Aviat property with BHP Billiton – which owns the Ekati mine in the Northwest Territories – and the Hunter Exploration Group. Two of Stornoway’s holdings, Churchill and Quilalugaq, are in the advanced exploration stage. To maintain Nunavut’s position as a jurisdiction of choice for mineral investment, the local Government developed a strategy entitled “Parnautit: The Nunavut Mineral Exploration & Mining,” which provides a framework of policies and actions to encourage mineral discovery and development. Released in March 2007, the goal of Parnautit is to create the conditions for a “strong and sustainable minerals industry that contributes to a high and sustainable quality of life for all Nunavummiut.” The plan addresses Nunavut’s regulatory and taxation regimes, workforce training, infrastructure development and environmental baseline availability. Peter Taptuna, Nunavut’s Deputy Premier and Minister Responsible for Mines, explains that Nunavut also offers a Development Partnership Agreement (DPA) program that was introduced in 2006 as a means of extending the territorial off-road fuel tax credit (rebate) to developing and producing mines. Through these DPAs, Nunavut’s Government and mine operators work cooperatively in areas such as education and training, socioeconomic monitoring and mitigation, as well as in infrastructure development. As the physical and economic circumstances of no two mines are alike, so too each DPA should reflect the unique and shared needs of the mine operator and the local population. Proponents entering the regulatory phase are encouraged to begin negotiations on a Development Partnership Agreement for their projects. For now, the reality of the diamond industry is much like the weather conditions in Nunavut- harsh. In spite of this, the Canadian industry is up to the challenge. While current prices, logistical challenges, inclement weather, personnel shortages and training needs remain concerns, all signs point to Nunavut seeing growth in mining operations in the near future, just in time to offer its diamonds to an eager market. WASHINGTON — Ranchers from Nebraska, people in car caravans from California and hundreds of others plan to hold daily sit-ins at the White House starting Saturday, protesting against a planned pipeline that would greatly expand the flow of oil from the black sands of western Canada. Two weeks of protests will raise the question of what the United States should do about climate change, putting the topic back into the spotlight. They’ll pressure President Barack Obama, who must decide whether the pipeline is in the national interest and whether it will be built. For some participants, the key issues are local matters of land and water conservation. The proposed Keystone XL pipeline from the oil sands of Alberta would run from Canada through Montana, South Dakota, Nebraska, Kansas, Oklahoma and Texas. It would cross the Ogallala Aquifer, the giant underground water source under much of Nebraska and other Great Plains states. Some Nebraskans have been calling for a different route away from their irrigation source and the state’s Sand Hills, a land of canyons and mountains of grass-covered sand where cattle graze. “Phase-out of emissions from coal is itself an enormous challenge. However, if the tar sands are thrown into the mix, it is essentially game over,” Hansen wrote in a paper in June. Hansen in recent years has participated in protests, and organizers say he’ll join this one as well. That means they will be there in a week, when the president and his family return from their vacation on Martha’s Vineyard. Cloncurry Metals (ASX: CLU) has commenced a 2,000 metre diamond drilling program at its Espiritu Santo prospect to follow up on encouraging sampling results. The prospect forms part of Cloncurry’s El Rodeo Project, in the south-western Mexican state of Michoacan. The program is focused on intersecting veins below and along strike of very high grade silver (to 3,830 g/t) results from underground sampling received in early November 2010. About 14 holes will be drilled from a limited six drill pads, which will drill fans of holes at different dips from each pad to test the veins, and give other information about the structures and geometry of the area. Cloncurry Metals acquired the El-Rodeo project in early 2010, joining a host of foreign investors in the prosperous and mineral-rich area.